My name is Jim Moon, founder and president of Moon Associates, Inc.
I’ve always been an entrepreneur at heart. After I graduated from the University of Rhode Island in 1983, it was a natural fit for me to open a kitchen showroom and start my own remodeling business. It was a success in more ways than one and was what allowed me to get my foot in the door of the local home improvement industry. 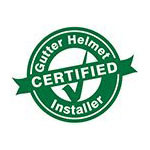 My introduction to Gutter Helmet® came about after a chance conversation with my dad, who was thrilled by the product’s quality, innovative design and the promise of never having to clean his gutters again. Three weeks later, I made the life-changing decision to sell my kitchen company and open Gutter Helmet® of New England. Things took off quickly from there. I started as a one-man band but soon hired a dedicated salesperson. And then another installer—and then another salesperson. Our team just kept growing and growing. From Gutter Helmet® of New England to Moon Associates, Inc.
Our rapid growth spurred my decision to switch my focus from onsite work to growing the team, managing the company and teaching my approach to my employees. 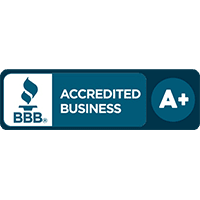 We continued to build trust with our customers, so much so that they started asking us to consider broadening our product and service offerings. Nearly two decades later, the business that started with a ladder, a truck and a single product has grown into one of New England’s premier full-service home improvement companies, with 75 employees and tens of thousands of customers. In addition to Gutter Helmet®, we also offer snow and ice dam control systems, high-value home energy audits and reviews, GAF roofing, and EcoView windows. We changed the name of our company to Moon Associates, Inc. to better reflect what we do and to allow me to demonstrate to my employees, partners, suppliers and customers my willingness to literally put my own name on everything we do. It was also a tip of the hat to my dad, whose enthusiasm for the original Gutter Helmet® product is what got me into this business in the first place. For more information or to receive a free, no-obligation estimate for your project, call us at (800) 824-3772. You can also fill out our online form to schedule a free in-home appointment with one of our sales representatives. We look forward to serving you!